Who qualifies as a researcher in science and technology, for this database? Researcher must be a Trinidad and Tobago national pursuing S&T research locally and/or internationally. NB: If candidate is not a Trinidad and Tobago national but actively conducts S&T research in Trinidad and Tobago then he/she qualifies to submit profile information. What is the difference between a public and private profile? Name, research fields, brief description of main research activity. Name, profile picture, job title, organisation, professional background, research fields, brief description of main research activity, research projects and publications titles. What information is needed to be a part of this database? This database reflects your professional background, brief information on past and present research (no research data specifics are needed; only titles and publication details), and a digital profile photo (optional, but recommended). What are the benefits of being a part of this database? The opportunity to be selected as a candidate for the premier scientists and researchers of Trinidad and Tobago’s Annual Awards for Excellence in Science and Technology. 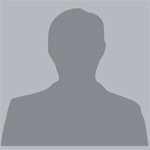 How can someone contact me through this website? Your personal/ organisation contact information will not be shown on the public forum. NIHERST will receive all initial contact requests and forward such requests to you accordingly. 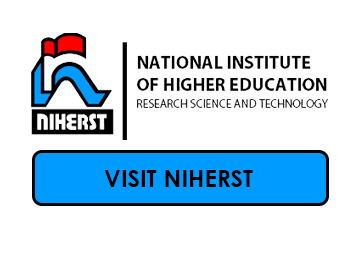 The National Institute of Higher Education, Research, Science and Technology (NIHERST) is the sole manager of STResearchTT. Can I update my profile at will? Yes, your profile can be easily updated and managed once you have your user login information. NIHERST has designed this website only to provide a platform for collaboration on a local, regional and international level. Your profile information will be automatically updated as you make edits and additions. Would I be able to remove my profile in the future? Yes, as a registered user you will be able to edit information and/or delete such on demand. You control the information being displayed on your profile. If you desire to be removed from the database entirely, a simple request can be sent to NIHERST directly via email.